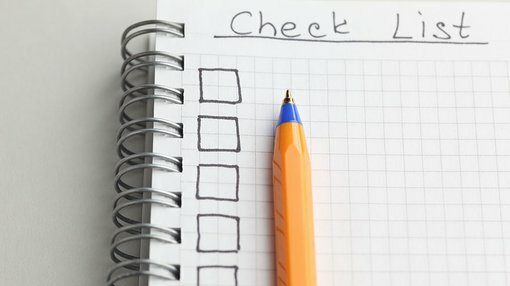 Before you plunge into investing in the Resources Sector, take a look at our Pre-Investment Checklist, specifically designed to arm investors with all they need to know before they put their hard earned cash on the line. In part one of this four part series, we detail 20 Crucial Investment Guidelines to help you embark on your investment journey. We start with the first five – we hope you find these useful! With so much information readily available, sometimes it can be difficult to know where to begin. When looking at companies to invest in, firstly you need to know where to find a company’s relevant information. From there you need to consider what information will best help you to make your decision. What is the company’s market capitalisation? How many shares are on issue? Are there any options or warrants? What is the company’s business plan? Does management have a good track record? What is the remuneration of the directors? What are the assets and are they diversified? Investment isn’t easy. It should be done with a cautious approach and professional advice where necessary, however it can be very rewarding if you follow the right steps. Every company has a business plan. Before you jump into an investment, it is important to know what investment category the company fits into. The investment category is a key component of how the business intends to make money. Are they intending to produce gold in Australia, copper in Chile, or oil in Kenya? You will be amazed at how many shareholders don’t even take 15 minutes to articulate (in their own words) the exact business plan of the company in which they are investing. Don’t be one of those blind-leading-the-blind shareholders. If you are going to invest in a company, de-risk your investment as much as possible by understanding everything you can about a company’s operations. Finfeed Handy Tip – Check the Company’s Investor Presentation and Website – once you have viewed this, are you able to articulate in 2-3 sentences what the company’s business plan is? If not, they may not be communicating this clearly and therefore, how certain are you of what you are investing in? Does the company have a small market capitalisation (<$200 million)? How many shares are on issue? Are there any options or warrants? Market cap can determined by the following formula: the amount of dollars per share of a company multiplied by the total number of shares of that company. There is a misconception that market cap is what the company is worth, but it is not about worth it is about the price of a company. Investment advisor, hedge fund manager and author Phil Town writes: “If we see that the company is worth more than the market cap has it priced at, then we know that we’re essentially buying a $10 bill, for 5 bucks. With that in mind investors should aim to identify companies with the highest potential for growth or take over – these are generally small and microcap companies, however sometimes investing in larger companies can also be highly rewarding. Check the market capitalisation and see if the company falls between $5 million and $200 million. These companies are high risk, but have the best potential for growth and hence the best chance to have significant price appreciation if chosen correctly. When looking at a company’s market cap you need to look at the fully diluted market cap. This includes any options or performance shares that may come in to play in the near term or are already ‘in the money’. As these options or performance shares are exercised it is likely that there will be pressure on the sell side of a stock as these holders crystallise their profits. It is widely said that if a company has hundreds of millions of shares on issue (or even billions in some cases), that the potential for significant price spikes is reduced, and any spike that does happen is subdued. This idea goes against basic logic in saying that an asset with an underlying value will be worth less if split across a higher number of shares. A concept that defies logic? Welcome to the stock market. Sometimes logic goes out the window and things happen that make no sense. What is the track record of management? Does management own stock in the company? Are they buying on market? How much are directors and management being paid? Is the company a 'lifestyle company'? Who is managing the company? What does their CV look like? Who is the executive management? What is the board's area of expertise and what happened to the companies they ran in the past? Has the board or any of the board members successfully overseen a takeover or a sustained increase in stock price? Has the board or any of the board members been involved with companies that have gone into dilution or administration? Finfeed Handy Tip – Research and find a CV or Resume for your chosen company’s management team – do they have a successful track record in executing a proposed business plan in the past? If the management believes in the company and the company strategy, they will own stock. The stock may be buried deep inside trust accounts or nominee accounts, but it is a legal requirement of any good stock exchange for directors to disclose any beneficial ownership of stock in the company they are running. You can find this out by checking out company announcements on the company website. Directors or Executives are often given stock, stock options or warrants as part of their remuneration package. Don’t get too excited about these, they are freebies. The best indication of the value of a stock is whether directors are buying on market with their own cash. Finfeed Handy Tip – List down the stock positions of each director of your chosen company – Annual Reports and Change of Directors Interest ASX announcements will provide this information. We often come across $5 million market cap companies where the managing director is paying him/herself in excess of $500k per annum. This is not ideal in our opinion and is what is called a ‘lifestyle company’. We much prefer management being incentivised via options or performance shares, rather than someone taking a huge salary from a small market cap company. There is clearly less incentive in performing by taking a huge salary from a small market cap company, than being incentivised and paid by growing a company’s market cap. Finfeed Question – What are the management and Board of Directors getting paid and how are they incentivised? What is the long term company strategy? This is a pretty simple. The company may be doing something you agree with today, but make sure to check out their long term strategy – which can be found in company presentations, annual reports and management discussion and analysis. Let’s say you have used our criteria to identify a little known, well-managed company, with enough cash for the next year in an up and coming market sector. You identified a looming price catalyst and managed to top slice 40% on a price spike and reclaim some of your initial investment, while others held on after the news was released. You now have a near “free” investment in the stock AND most of your money back – so what now? It is important to have chosen a company that has a clearly identified path for the next few years. There is no point holding a free carried investment in a company that will wither away over the medium term due to lack of strategy or poor management. If this is the case you may as well sell out completely instead of just top slicing. So make sure you can picture where the company will be in 5 years, and don't just say “it's going to go up five-fold” when it starts producing and selling oil, or gold or whatever. Is the oil easy to extract? Is it onshore or offshore? Who will pay for the oil to come out? Is there an existing pipeline nearby to export the oil? How much will it cost to connect to it? Is there a refinery nearby to process the oil into sellable products? Who will pay to build a refinery? Are there other nearby producers who will need a refinery? Is the refinery and pipeline in the same country, or will there be negotiations with other governments who will take a huge cut? How much are nearby producers selling the oil for? Will the oil be sold domestically or internationally? Which net oil importing countries are close by? How are the relationships between the governments? These are just a few of the questions to be asked when considering the long term viability of developing a field into production, and if the answers to these questions are not immediately obvious, it might be wise to consider selling out entirely on discovery, especially when you throw political instability into the mix. No matter what the industry of the junior stock you are analysing, make sure to take a good hard look at the realities of bringing the product to market. Finfeed Handy Tip – Look for a five year plan for your chosen company and develop a list of questions to consider. What assets do the company own? Which asset is most important? Is the asset base diversified? A company may focus its efforts on only one asset; or have a ‘flagship asset’ with other less important assets; or have multiple assets with equal importance. You need to know the asset names, the location of them, the percentage of assets owned by the company (company’s often have joint ventures), and whether any resources or reserves exist. Finfeed Handy Tip – Check the company’s investor presentation, website and Google! A company that only has one project may be very risky, as the whole success of the company is tied to the one project. On the other hand, a company may have all sorts of projects at various stages of development, in various different countries – this amount of diversification introduces a complexity discount to the stock price, and the shares may trade lower than their intrinsic value. The chance of a takeover is reduced if a company’s assets and structure is too complex. This is a double-edged sword as highly diversified companies that are trading below intrinsic value generally only realise their true value when a takeover is announced. Highly diverse companies will generally have to sell off their assets one at a time to realise true value. The sale of an asset can be a price catalyst event if expected by the market. Generally our preference is to choose a company with a strong strategy and focus on a particular sector or geographical location. Too much complexity is to be avoided.